No casualties were reported on the popular tourist island of Koh Samui as Tropical Storm Pabuk passed through the Gulf of Thailand on Friday and dissipated as it hit the mainland. Ferry boat services from Suratthani to Samui recommenced on Saturday after a two-day suspension due to safety concerns. Normal operations also resumed on 5 January to and from Samui Airport. Sunny periods and scattered showers were forecast for the week ahead, allowing thousands of tourists who have booked holidays on the paradise island to continue their plans. However, “red flag” warnings banning swimming off beaches were still in place. The neighboring islands of Koh Phangan and Koh Tao were similarly unscathed, though electricity supplies were affected. Hotels and businesses on the islands began cleaning up after the storm with most reporting minimal damage from the lashing winds and rain. 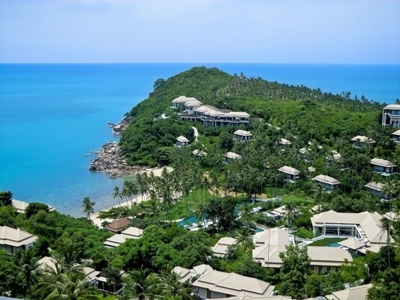 “Aside from it being a major inconvenience for our guests, I am pleased to report that we are all fine and have suffered no damage,” said Remko Kroesen, the general manager at Banyan Tree Samui resort, which occupies a bay on the island’s southeast coast. “Storms [like Pabuk] are not anything unusual on Koh Samui, but we did experience some very large waves which brought in a lot of debris.